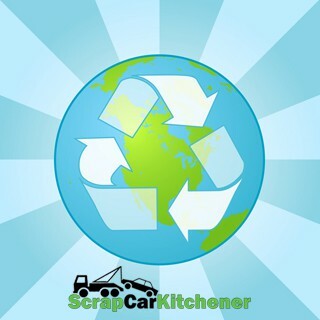 Scrap Car Kitchener is here to help you retire, scrap, or junk your ELV (End of Life Vehicle) in a way that’s convenient and hassle free for you, and that your vehicle’s environmental impact is minimal. Where you take your vehicle can make a big difference to the environment, unfortunately some scrap facilities allow toxic fluids and heavy metals to enter into the soil and ground water. By using a modern recycling process each vehicle is disposed of responsibly and safely to maximize the amount of re-usable materials and minimize the environmental impact. Love your Earth. Scrap your car the green way. Web Development By ReferLinks Online Marketing Copyright © 2016 Scrap Car Kitchener | All Rights Reserved.